Hi loves! I’m on this huge health streak lately and I’ve been finding new recipes on pinterest! 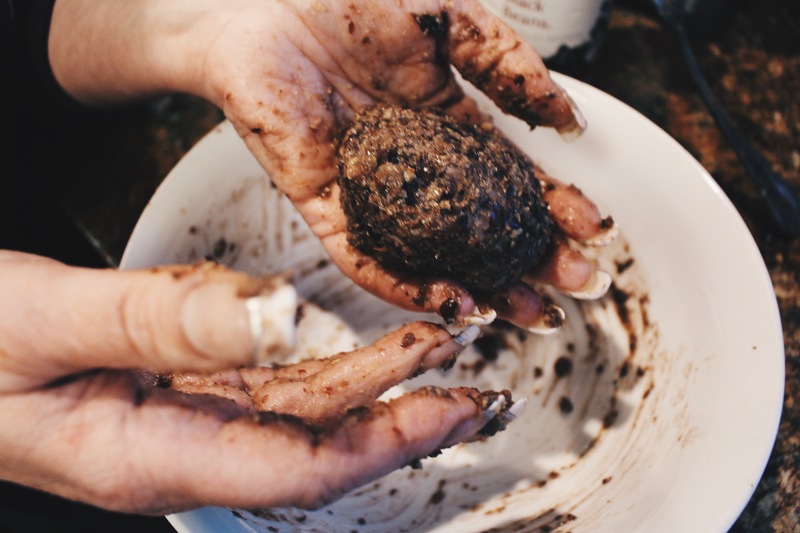 I’m not big on the traditional burger meat, so when I found this recipe for black bean burgers I fell in love. 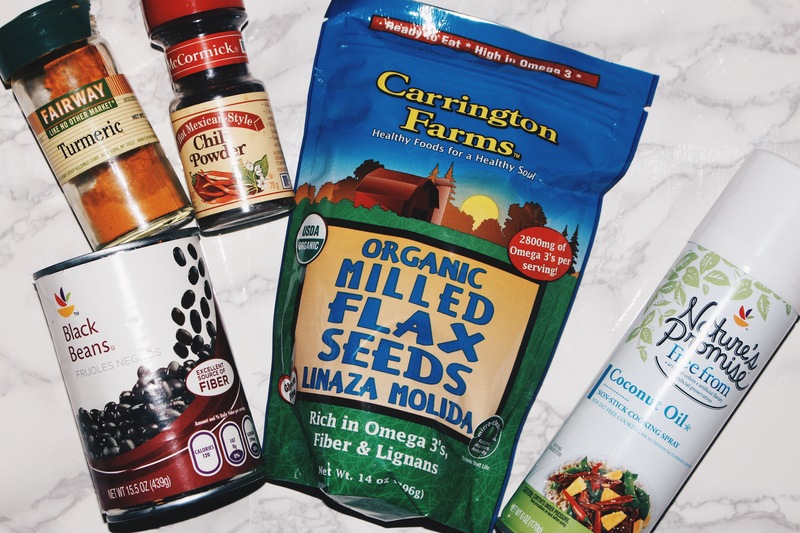 I love black beans and they’re super healthy and good for you so I decided why not try this. Let me just tell you it’s amazing. If you like black beans and that spicy taste I recommend trying this! It’s also great if you don’t eat meat! I hope you all enjoy this post! 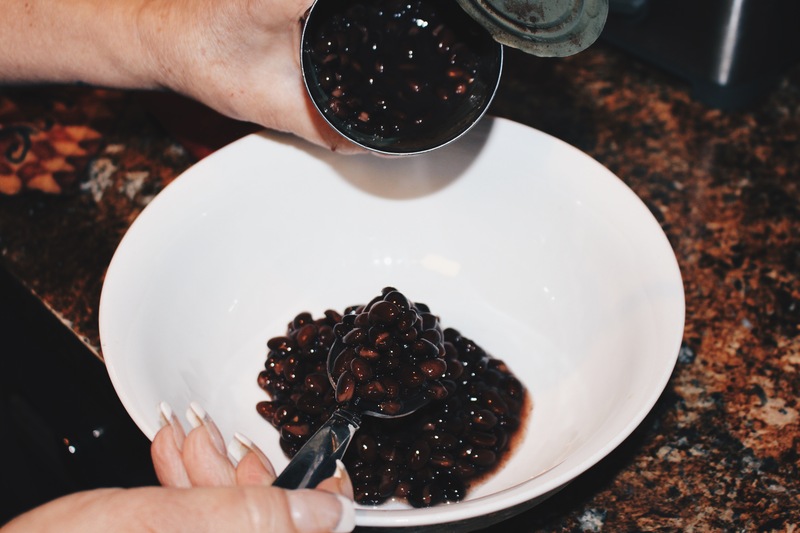 Pour out ½ a can of black beans into mixing bowl. (½ a can makes exactly 2 burgers). 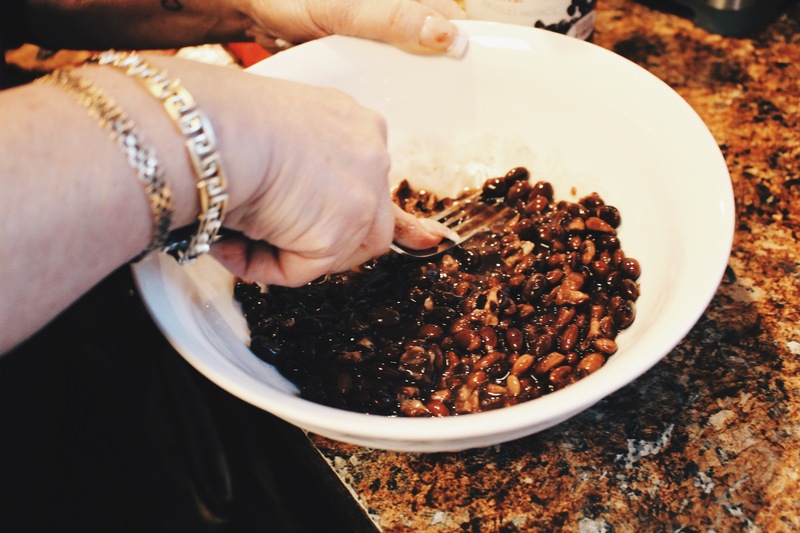 Take a fork and begin to mash the black beans. Add in ¼ cup of flax seeds (you may have to add in more flaxseed if you think the burgers will be to liquidity). Add in chili powder and turmeric for seasoning. 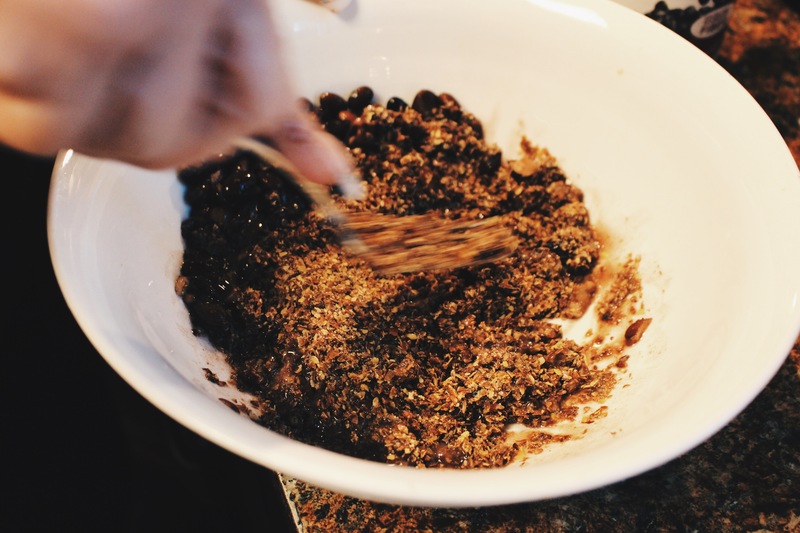 Mash the black beans and flax seeds together. 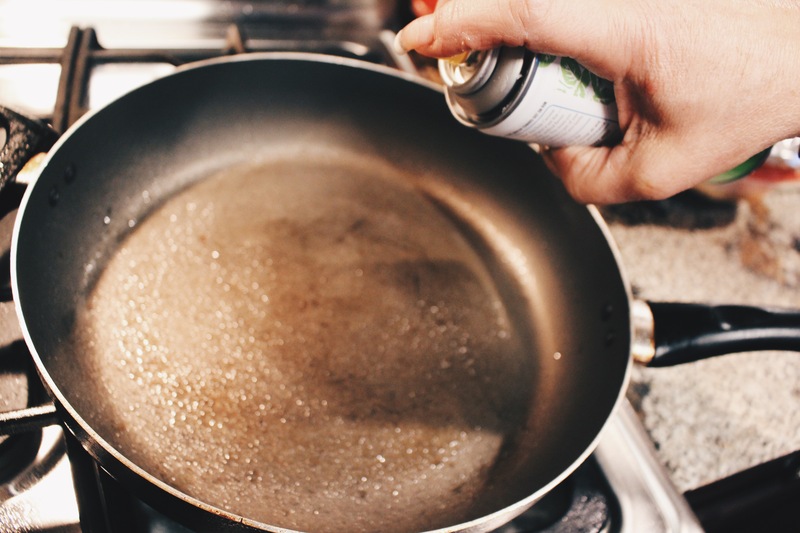 Spray your skillet/frying pan with your cooking spray. 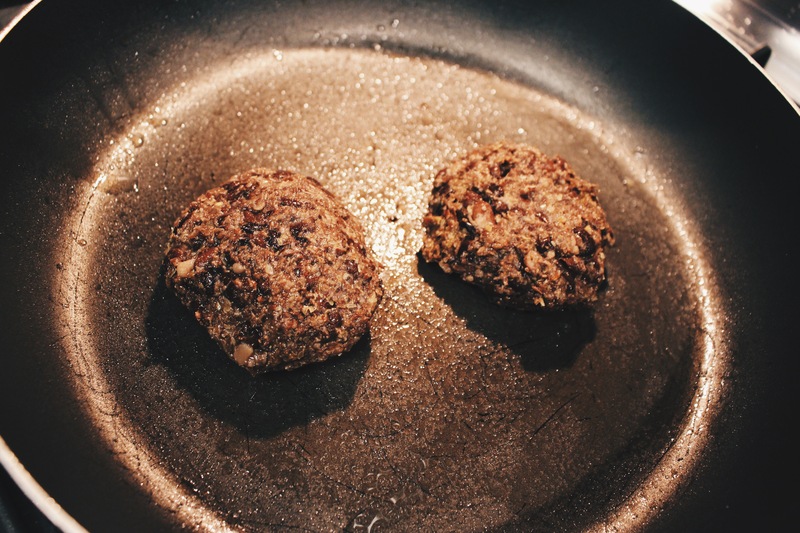 Cook your burgers until fully cooked. I added some hot sauce to my burger and I made a tiny salad to eat as well! These burgers were so good! My mom and I loved them. They’re super easy to make too and take no more than 10-15 minutes! I hope you all enjoyed this post! i am so trying this! so easy! thanks babe! It really is the easiest meal ever! Perfect for a fast dinner or if you’re eating late! You’re welcome thanks for checking it out! These looks so simple and so good! I need to try them out! They really are! It’s so easy to make! Haha there’s other alternatives! I found it from Pinterest! You could mash up cauliflower, broccoli, almost anything! I will and then let you know! Perfect! Maybe I’ll try it too! whoa, these look so good! I love how you came up with the idea of making it like this, I never would’ve thought about it like that at all. I am glad to meet as a Blog-aholic nominee by Laurensnotebookblog. Congratulations and well done. These look delicious! I am definitely putting it on my list of things to try. 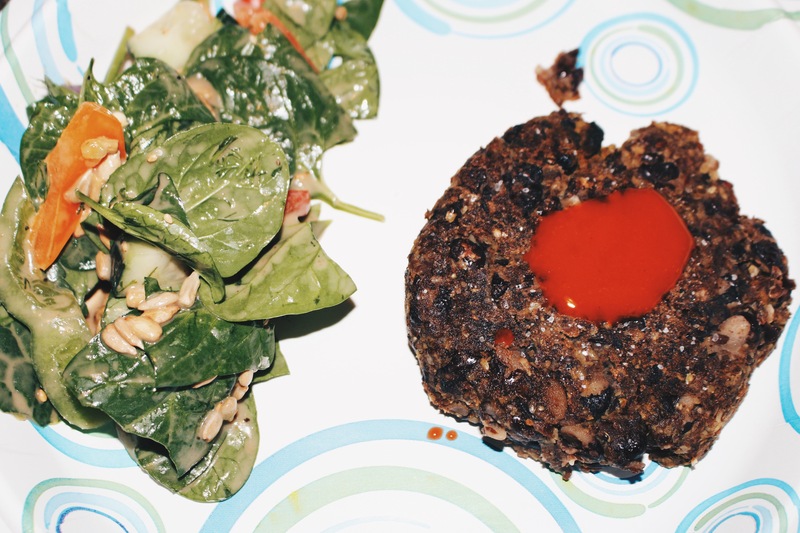 I love black bean burgers–these sound great!